The town of Cefalu lies on the north eastern side of the coast of Sicily and is about 70 km from the eastern edge of Palermo and some 180 km to the north western side of Catania. A Cefalu yacht charter is something that luxury yachts often consider as part of their Sicilian itinerary as this town is considered to be one the Mediterranean’s ‘undiscovered jewels’. Cefalu has a beach as well as very old authentic winding medieval streets where you can find delightful restaurants (serving beautiful Southern Sicilian/Italian food) overlooking a rugged and rocky coast. Cefalu features the steady watchful gaze of the Norman-Arab-Byzantine cathedral which is one of the greatest churches of southern Europe in several ways. Cefalu is set on a rocky terrain that arches all the way to the Mediterranean Sea. Its strategic and the ideal conditions of its harbour make it an important destination for yachting sailors and tourists who are spending their Mediterranean holiday on board their luxury yacht. One of the familiar attractions associated with Cefalu are the ancient villages within the outskirts of the town that trace their origins as far back as the prehistoric times. 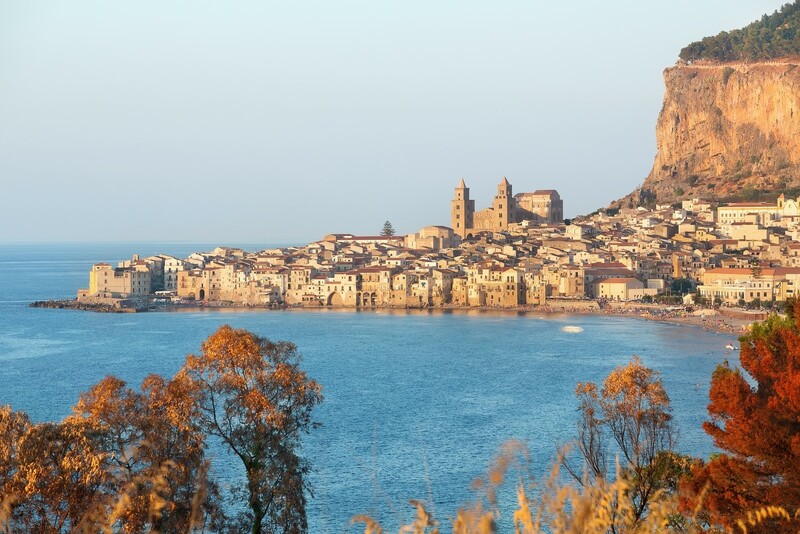 Cefalu could be considered as one of the unchartered treasures in the Mediterranean. This charming seaside town has got everything that you would want to experience and enjoy in your dream yacht charter holiday destination. Considered in tourist circuits as the epitome of grandeur and splendour, Cefalu is one tourist spot that you cannot afford to miss. This is the best destination if you are looking for the best beaches, picturesque views of the local landscape and glimpse to the storied and glorious history of Italy. The elevated section of Cefalu features several ruins and remnants of an immense fortification and an ancient Temple with Greek-Sicanian origin. Tourists and seasoned sailors go to the summit of this mountainous terrain to catch the most enchanting and captivating view of the landscape. The ancient town of Cefalu came into existence on an area where an old settlement of Greek and Sicanian origin once stood. In fact, the term “Cefalu” was derived from a Greek word – Cephaloedion - which is literally translated to mean cape. Save for a few remnants that are now kept at the Mandralisa Meseum, the only surviving archaeological structure that is associated with these old cultures is the Temple of Diana, which lies on the mountainous section of the old town. The Duomo Cathedral is undoubtedly the most important attraction in the town of Cefalu. What will strike you most about this archaeological gem is its impressive and imposing architecture. Other important religious structures that should be visited by seasoned sailors and other yacht charter enthusiasts include the San Sebastian, Santa Oliva, Santa Maria dell’Odigitria and a lot, lot more. There are a slew of ruins and remnants of old civilizations that can still be seen in various parts of the old town, a solid testament to the importance and prominence of Cefalu during the ancient times. Other important attractions in the town of Cefalu include the Bishop’s Palace, the Seminary, the ruins of Thelema Abbey and the Old Roman baths. Cefalu is an elegant mix of all the things that we love about Italy. This is a luxury yacht charter destination that you are bound to experience on your dream crewed superyacht yacht charter holiday in Sicily on the western the Mediterranean.